You run follow the motorway A1 ROMA-MILANO. The exit is ORTE, from the North or exit Magliano Sabina if you come from the south. When you exit at ORTE take the slip road signposted TERNI-ORTE. Continue until the exit signposted Narni. 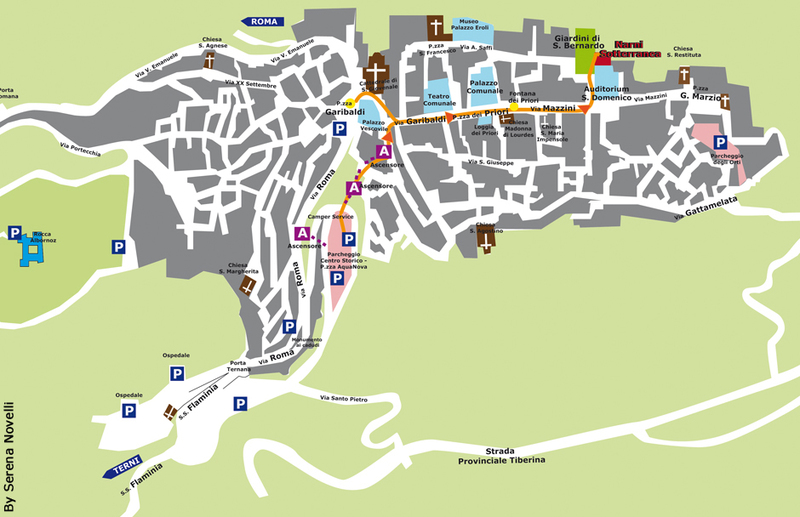 If you come from Fano or ROMA continue on the Flaminia Road (SS3) until the exit signposted Narni. From Cesena, the road for Narni is the E45, and the exit TERNI-ORTE at the end of the E45.